Feel utterly feminine, even when you're the only one home, with pure sheepskin ballerinas. 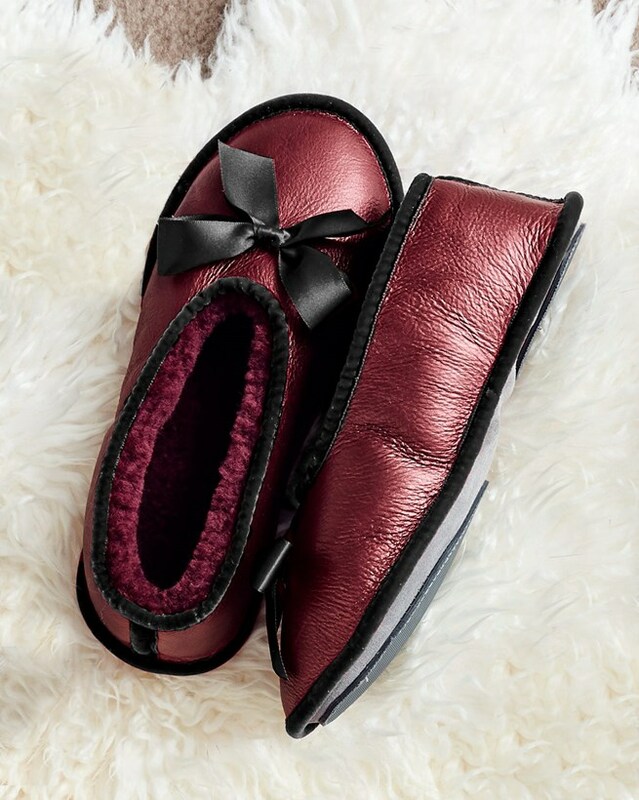 With their soft suede soles, they are great for travelling and feature pretty finishing touches, like velvet trims and satin bows. My new slippers are so lovely to look at and are very comfortable. I am saving them to wear when I go into hospital so I'lI can be the smartest person in the ward !!!! Many thanks . A big hit for Christmas - perfect size, a feminine design and a festive colour.